Are you a natural beauty looking to turn your skincare routine green? Plant based actives, nutrient rich butters, antioxidant packed oils? Imagine if your new routine looked green but it actually wasn’t. Imagine if you picked up a lovely Shea body butter to find out it was jam-packed full of mineral oil. This dear friend, is an entrée into the world of greenwashing. Greenwashing is like hide and seek… a game that can feel like chance, until you’re given a pair of x-ray glasses. By the end of the article you’ll have your very own pair. Don’t worry, they’re uber fashionable. With these beauts, you’ll be seeing through all those places greenwashed ingredients hide. 3, 2, 1… I’m coming to get you! Ever seen a sloth dressed up as a Koala? Nope me neither. Ever seen a beautiful looking leather jacket, only to sniff the smell of… plastic? Ever had a king prawn salad to be served up salad with mini-prawns? Yes – I feel your heartbreak. All of these situations feel like you’ve been duped. Your hopes are built high, you know what you want, you know what you’ve asked for and you’re ready to get it. It might even look the part… on the surface. Then you delve deeper and you find a sloth dressed as a Koala, a leather jacket with the scent of plastic, a salad with invisible prawns. This same exact thing happens to natural skincare. If you saw a beautifully natural picture of an oat plant on your new natural moisturiser – you’d expect it to be as beautifully natural and full of oats on the inside ‘eh. What about a coconut moisturiser? That fleshy coconut being famed on the packaging is telling you there’s loads of fleshy coconut goodness on the inside too… is there? If you were looking for the anti-ageing, anti-acne properties of rosehip oil and a moisturiser spoke to you and said, ‘with natural rosehip oil’, you’d expect it to have a whole load of natural rosehip oil ‘eh. No trick questions – you’re absolutely right to assume those things. When those assumptions are wrong, you’re looking at a skincare pick that’s been greenwashed. Greenwashing is the process of marketing a cosmetic or skincare product as natural, when it has more un-natural ingredients than natural. When choosing great natural skincare free from greenwashing, it’s not quite so visually easy as picking a king prawn from a mini prawn. While there ain’t no mistaking those 2, most skincare looks pretty darn similar. …and it should – that’s fine. 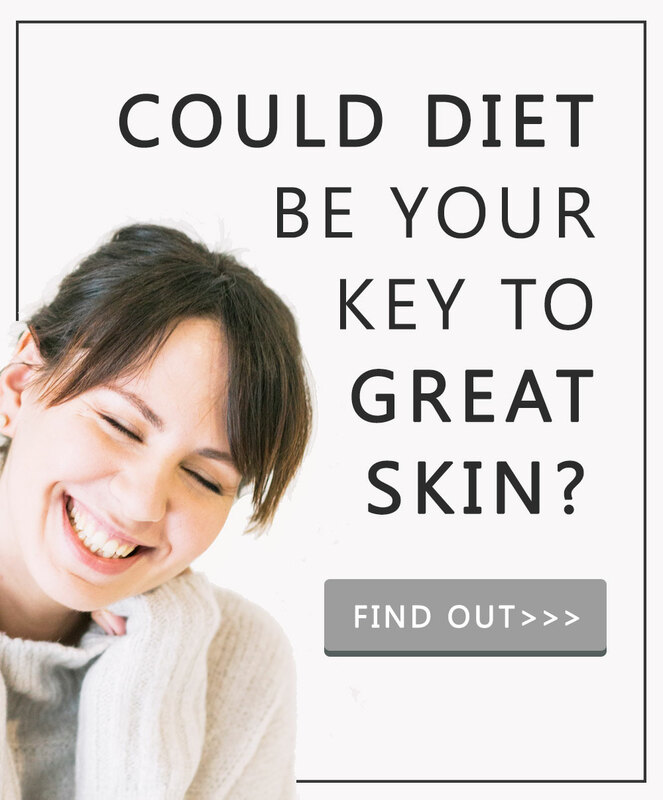 No-one wants to be rubbing oat flakes into their skin ‘eh. So, how do you avoid greenwashed natural skincare? How do you flash a red stop sign at greenwashing? The first step – know what it looks like. While you might have sloths dressed as koalas dancing around your head right now – you’re probably not 100% sure what a greenwashed natural skincare product looks like. p.s. great job on the Kuala-sloth imaginary. To get your greenwashing radar set-up, let’s take a look at a couple of skincare picks that fit our definition of greenwashing – natural skincare with more un-natural ingredients than natural. This doesn’t mean these products make bad skincare picks, it just means they’re not being sold truthfully i.e. if you want natural skincare don’t pick these! Their tag line – with naturally active ingredients. The made famous natural – the oat plant beautifully drawn on the bottle. Their colours – lovely natural greens, oaty beige and contrasting blues. Take a look here, at the – Aveeno Daily Moisturising Lotion. What vibe do you get from this skincare pick dear friend? It all looks pretty natural ‘eh. There’s the phrase, ‘with natural colloidal oatmeal’ – a great ingredient. There are lots of natural oat based pictures. The colours speak as green, natural and sensitive skin friendly. So, all round it looks pretty natural. Now, let’s take a look at the small print ingredients list. It’s always a good idea to look at the first 2, 3, 4 ingredients on your skincare list. Are they natural? Skincare ingredients lists are always in order of quantity. The more of the ingredient in the bottle, the higher they’ll be on this list. 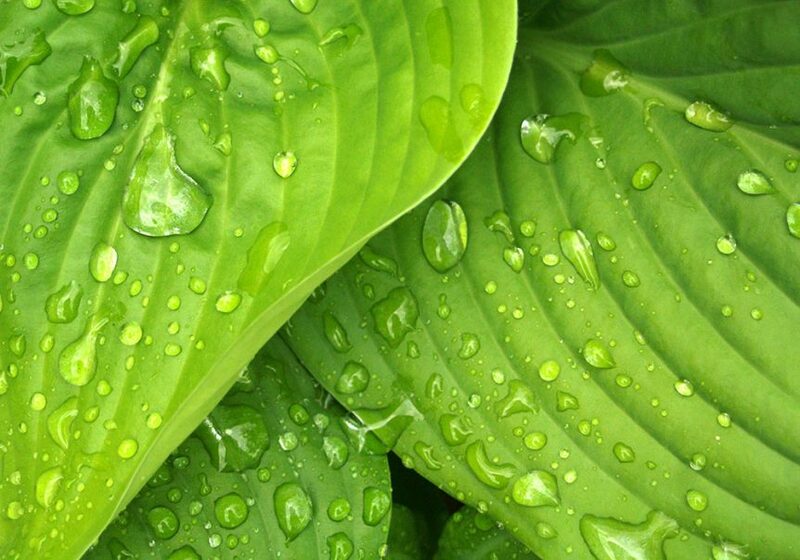 If you had a yummily natural moisturiser, you’d expect some of the top few ingredients to be natural. This is the maths of greenwashing. 2 – Glycerin – can be natural or man-made – this is a water magnet, attracting and locking water into your skin. 3 – Distearyldimonium Chloride – a surfactant, not so natural. 4 – Isopropyl Palmitate – a skin conditioner, on the not so natural side. … and what about our good ol’ oat plant? Colloidial oatmeal – oatmeal that’s ground up into a really fine powder has an alter-ego name of Avena Sativa Kernel Flour. I’ll tell you all about how to find theses alter-ego natural names later on. Promise. Do you see where this name is on the list? The more interesting part – the active oatmeal that’s gotten famous on the label is below – Paraffinum Liquidum and Dimethicone. Two artificial skin protectants also known as mineral oil and silicones. 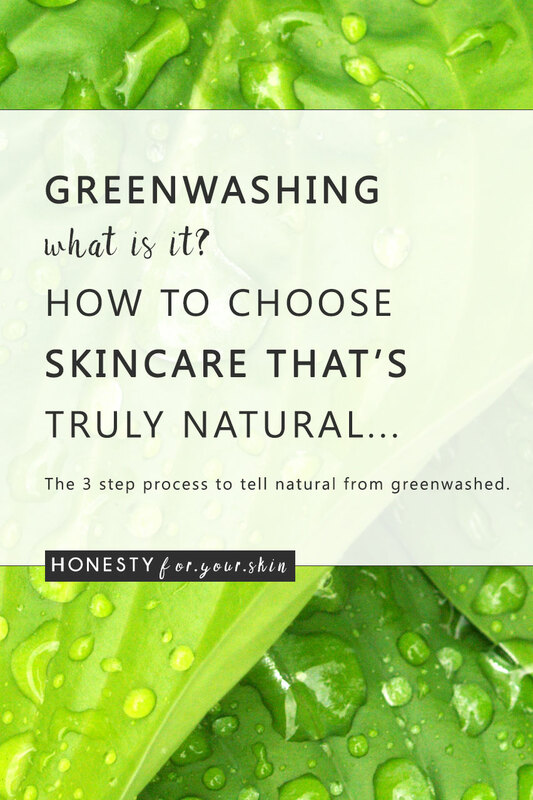 My question to you – greenwashed or natural? Dadaaa… Greenwashed. You got it, you natural beauty you. Aveeno may look extremely natural, but there’s more un-natural than natural actives in the bottle. Once more… and this time, test out your greenwashing radar by telling me your answer in the comments section below. Take a look here at the – Jurgens Wet Skin Moisturiser with Coconut Oil. Roll over the picky with the magnifier and take a real good look at the ingredients it’s chatting to you about. What are they? What do you think? Greenwashed or natural? Full of coconut oil or not so full? Tell me your answers in the comments below. I wanted to confront this question because there’s so many different levels to greenwashing. 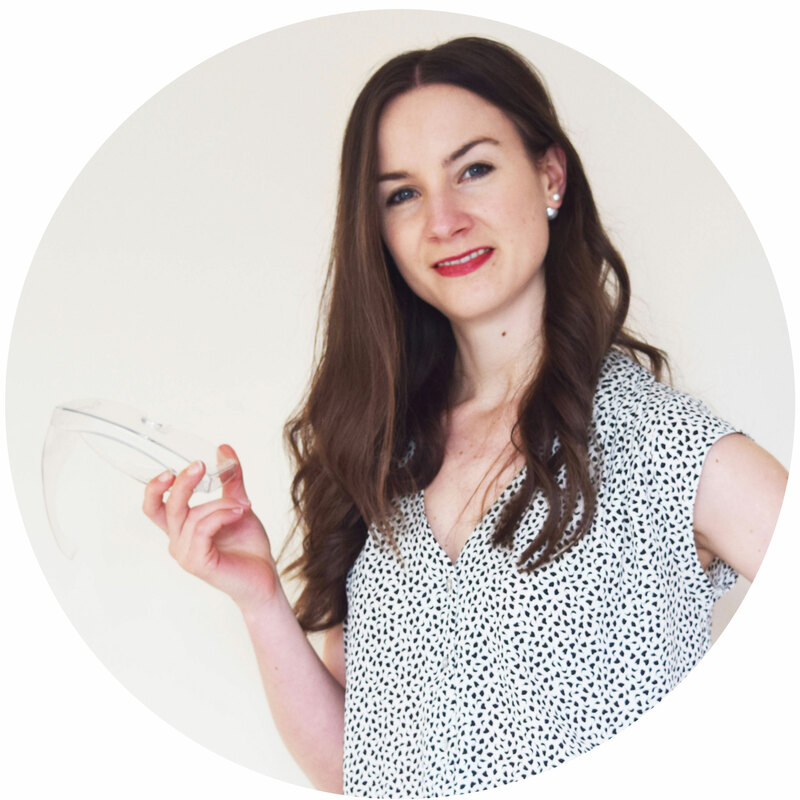 I’m with you on preferring a natural approach to beauty… Yay – go us! Thing is there isn’t a good: bad line between natural and un-natural. Wouldn’t that be easy simples ‘eh. In reality the line is hazy – imagine stinging nettle moisturiser. Yes natural but no, not skin loving. Greenwashing is bad because your being sold a product on the basis that it’s something it’s not. Imagine ordering a little black dress to get a red ball gown turning up. Greenwashing doesn’t mean your red ball gown is bad – it just means you’ve not been spoken to truthfully. That’s the bad bit. Don’t want the hassle of having to send back that red ball gown? Then you dear friend will want to bookmark these 3 steps to avoid being greenwashed. Do small print ingredients lists daunt you? Well I’m showing you 3 simple steps that take just a minute to scan with. These 3 steps will ramp up your greenwashing radar to full-power. 1. Does Your Skincare Pick Contain Mineral Oil Ingredients? The arch nemesis of natural skincare – mineral oil and petroleum derived ingredients. Yea – those guys. If you see any of these words on your ingredients lists, you’re likely looking at a greenwashed product. The higher up the list – the more likely your skincare pick is greenwashed. Your greenwashing radar should be flashing when you see anything with petrolatum or paraffin/parraffinum on the list. 2. What are the top 2, 3, 4 ingredients? Do they contain natural brackets? Yup – I did just invent that term. Natural brackets contain the translation of the alter-ego ingredients list name. Natural skincare products are usually loud and proud on the ingredients list – If you see a party of natural brackets you’ve likely picked up a truly natural and non-greenwashed product. If natural brackets are nowhere to be seen and you’re not ready to give up on this natural looking skincare pick just yet, try this. Search Butyrospermum Parkii and the first page of Google will tell you that’s the alter ego for Shea butter. Go you! If the top 2, 3, 4 ingredients are natural lovers you recognise – you have a non-greenwashed natural skincare products. Exciting. 3. What’s the Pretty Label Telling You? Is there a picture of a coconut? Is Shea butter beautifully draped over a chaise lounge? If you saw a picture of Jennifer Lawrence on the front of your glossy monthly, you’d be right to expect a juicy feature piece on the beautiful actress ‘eh. Well, DITTO that to a Shea butter moisturiser. How do you make sure you Shea butter moisturiser isn’t greenwashed? By reverse alter-ego name finding. Launch Google and search ‘INCI name of + natural skincare ingredient you love’. In this Shea situation that’s a search for ‘INCI name of Shea butter’. Then dear friend, Google will speedily return to you with Shea butter’s alter-ego name – Butyrospermum Parkii. Where’s that lovely on the ingredients list? Is it high up? If your answer is yes – you have a non-greenwashed winner. Want more tips and tricks exactly like these? Make sure to Sign-up for the #SkinTips skin savvy series here or below.